Have you been struggling to close your (or your teen's) t-shirt drawer as your collection of well-loved T's increases over the years? It's not easy to get rid of them -- they are the equivalent of a textile scrapbook. They evoke memories of vacations, events, concerts, teams, movies and much more. 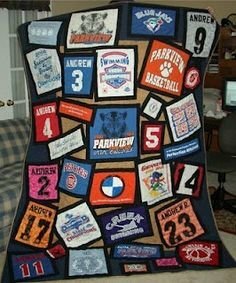 Cookie's T-Shirt Quilt Class is a way to preserve those T's by creating a one-of-a-kind keepsake that will be treasured for years to come. 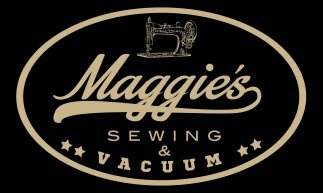 Join Cookie at Maggie's Sewing & Fabric in Longmont and learn how to create your own custom T-Shirt Quilt. Skill Details: All skill levels are welcome! Requirements: T-shirts (including plain knit sections as well as the graphics); fusible interfacing for T-shirts (available at Maggie's); sewing machine in good working order; thread; rotary cutting tools; rotary cutting mat; clear gridded ruler (minimum size: 6" x 24" -- special T-Shirt ruler available at Maggie's). 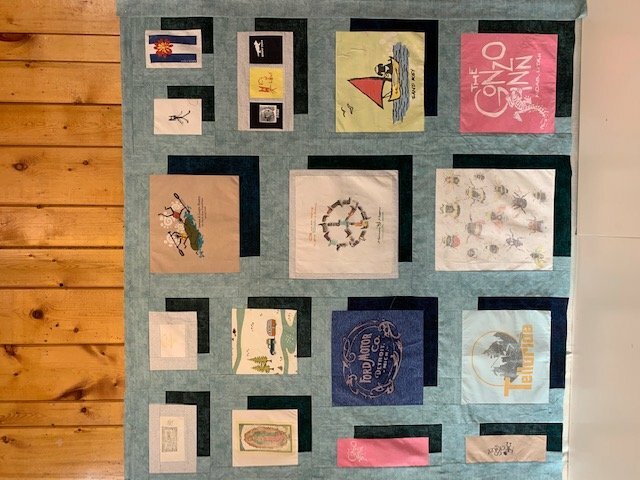 Two colors of quilting cotton fabrics(one light, one dark) will be required for sashing, borders, accent blocks, and backing -- the amount required will depend on the size of the finished quilt.